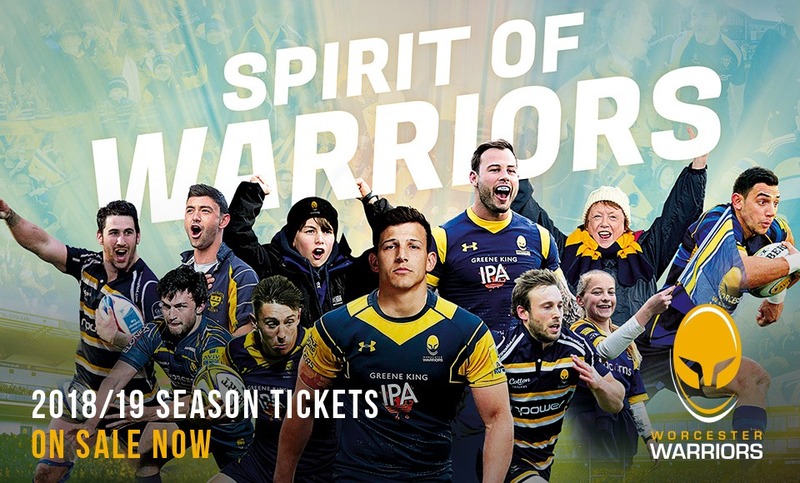 Season Tickets for the 2018/19 campaign are now on sale – and Adults can watch 16 enthralling games at Sixways from just £250. Supporters can spread their Season Ticket payment over nine months through our Direct Debit scheme when purchased before 4.30pm on Thursday 16 August – that’s from just £27.78 a month. We’ve got some great offers for supporters to take advantage of, with Family Season Tickets available for £335. Junior Season Tickets are available from £135, 65Plus start from £240 and Young Adults can be purchased for £210. Supporters can still enjoy a whole host of benefits when they sign-up for a Season Ticket, including saving 25 per cent off the price of their Season Ticket when they Introduce a Friend (T&Cs apply). And Under 12s can grab their Season Ticket for £50 when purchased with a full-priced Adult or 65Plus Season Ticket. Purchase your Season Ticket for the 2018/19 campaign by clicking here, calling 01905 459309 or visiting the Warriors Ticket Office.